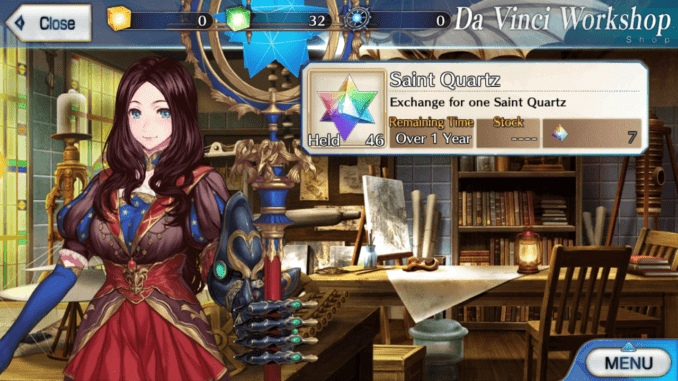 Da Vinci’s Workshop is an option in the navigation menu that specializes in selling items for in-game currency or real money. 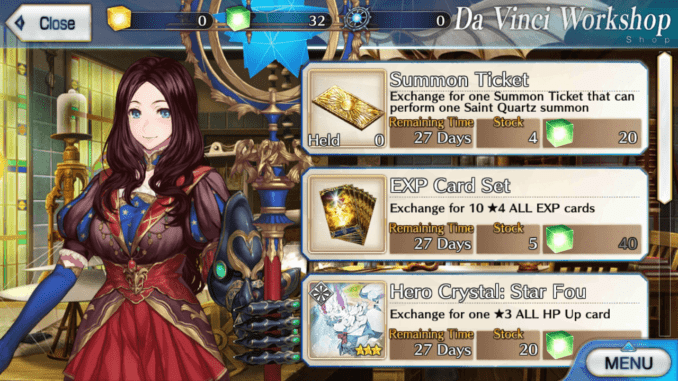 There are several options that you can do inside Da Vinci’s Workshop which includes burning craft essences and servants for QP and Mana Prisms, Event Items that you can exchange for limited cards, and purchasing Saint Quartz used for summoning. 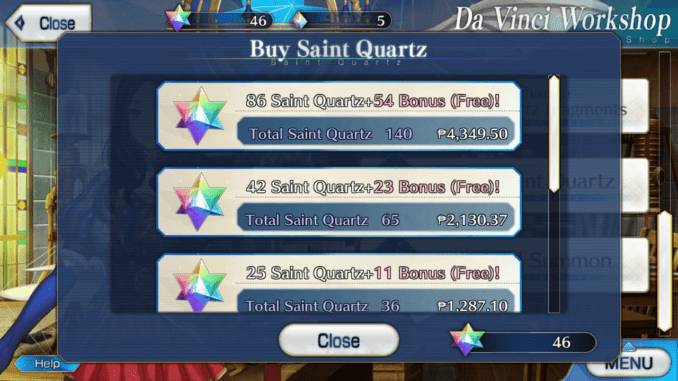 Players can also exchange Saint Quartz Fragments to get Saint Quartzes. 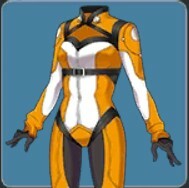 You can get items or limited cards in exchange for event items. 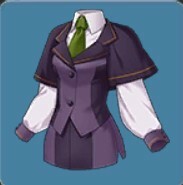 For every event, there will be a shop where you can buy event items, and these shops tend to expire during a certain time when the event ends. 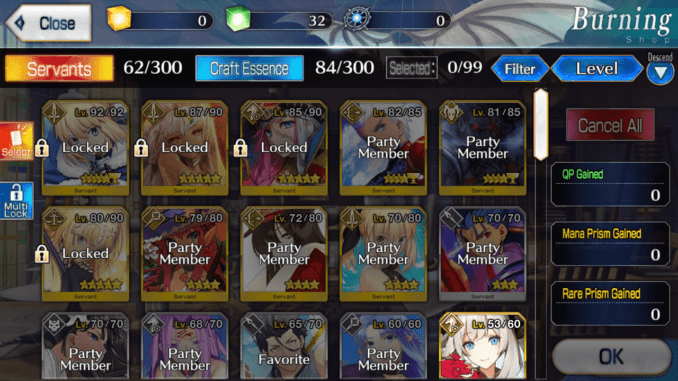 You can burn your servants and craft essence in the workshop in exchange for QP and Mana Prisms which you can use to buy items in the store. 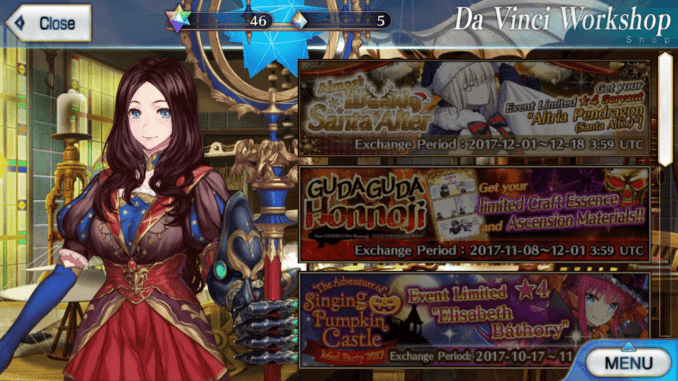 Take note that you can also get QP in quests and Mana Prisms in daily quests. 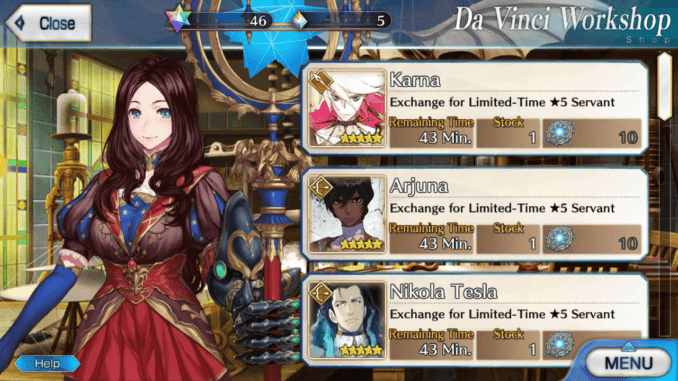 You can burn your 4-Star and 5-Star servants in exchange fore Rare Prism, a type of Mana Prism which can be exchange for valuable and rare items or cards. You can exchange your Saint Quartz Fragments (obtained in Master Missions) for Saint Quartz. 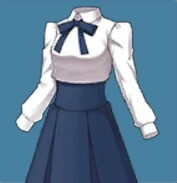 Players use Saint Quartzs for summoning servants or craft essences. You need 7 Saint Quartz Fragments in order to get 1 Saint Quartz. You will be able to purchase Saint Quartz using real currency. The prices of the Saint Quartz varies for each country, so check your game to see the prices for each bundle or pack of Saint Quartz. 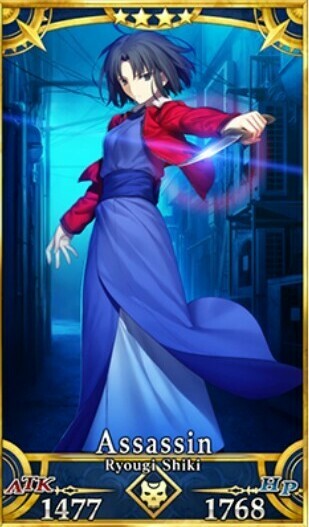 You can summon powerful 5-Star Servants using an item called Unregistered Spirit Origins. 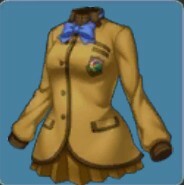 When you receive the 6th copy of the same 5-Star servant, players will receive this through the gift option. 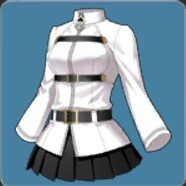 Obtaining this item is currently difficult to do since there are just a few 5-Star servants that are released for the English version. 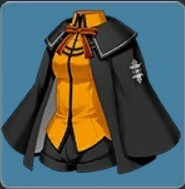 At the same time, the drop for 5 star servants are quite rare which makes these items hard to find. Should you have enough however, players can then exchange them for a 5 star servant that they don’t have yet.